How does one translate “sunlight” into paint? Is this even possible? 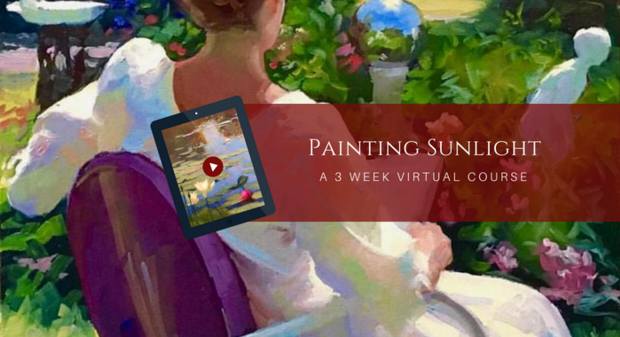 Master Painter Dennis Perrin will show you, step by step — through several of his favorite and most beloved subjects — how to create the look and feel of sunlight in your paintings. He’ll take you directly into the outdoors, under the trees, at the garden table, with the breezes blowing and the birds singing, where he’ll demonstrate using his trademark process, The Perrin Method™, how to transform a simple, two-dimensional surface into a world alive with warmth and sunlight. Through advances in technology, using both streaming and annotated video, Dennis will give you personal, revolutionary instruction on not just how to paint, but how to think about painting in a whole new way that will simplify and enliven your paintings and bring the joy into painting sunlightand any other subject of your choosing. 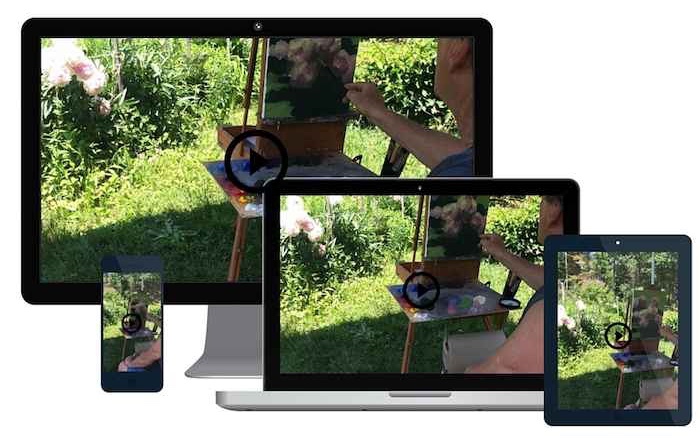 Featuring streamed lessons direct from the artist in the garden. Enjoy the benefits of the course for a lifetime.